UltraFire WF-016 SSC P7 3-Mode (High/Low/Fast Strobe) Flashlight for use with 1pc 18650 Li-ion battery. The wf-016 always reverts to High mode when initially powered on. 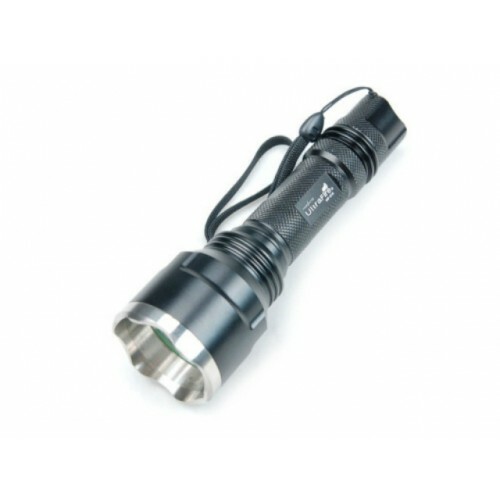 This is a great compact flashlight with overall lenght of 4.9", well designed and built.